Fabulous New Volunteer Roles Available Starring… YOU? DO YOU HAVE STAR POWER? Reelout is currently looking to cast stellar volunteers in two key areas of our organization. Please read through and if you think you fit with what we’re looking for, all you need to do is fire off a brief expression of interest telling us about yourself personally and professionally and why you think you would be a great addition to our cast! The DEADLINE to email us your expression of interest is Monday, June 4, 2018 by noon. There are similar talents and qualifications for both board directors and programmers, so we’ll start there and get more specific after. First off, we recognize and more importantly encourage applications from members of communities that are marginalized including: Indigenous people, other people of colour/racialized people, people living with disabilities, people with experiences of migration, and people who have experiences of poverty. We believe our organization can only claim to promote diversity and respect unless it is reflective in our board of directors and our volunteers who choose our artistic programming each year. Anyone applying to either or both opportunities must be a Canadian citizen and at least 18 years of age by June 4, 2018. You are not required to have a valid membership to our organization at this time, but you will be required to pay $20 to become a member before being voted in. Artists either emerging or professional in any discipline are of great interest to Reelout so please let us know of any artistic background. Board Directors are elected at our AGM on July 18, 2018 and serve for a minimum 2 year term. Regular board meetings are held on the third Wednesday of each month for no longer than 2 hours. Board directors are expected to volunteer their time at the festival and at outreach events and to join the fundraising committee that meets for 30 minutes once a month before each regular board meeting. Email your expression of interest with any additional questions you might have to director@reelout.com before Monday, June 4th, 2018. Re-emphasis on volunteers who are indigenous, racialized, differently abled, experiences with class/poverty struggles. Francophone and/or Senior Citizens are a priority! You must be free to meet with the committee for up to 3 hours on the first Saturday of October, 2018 (wheelchair accessible venue). Programmers work at their own pace beginning mid-June to October 1st, 2018. You are required to agree to confidentiality agreement declaring you will not share artists’ contact information during the submission process . You will be required to take documented notes as you watch online as many of the submissions as you can. A google document will be provided so that programmers can indicate which films they have viewed so that other programmers have a sense on which titles need viewing. 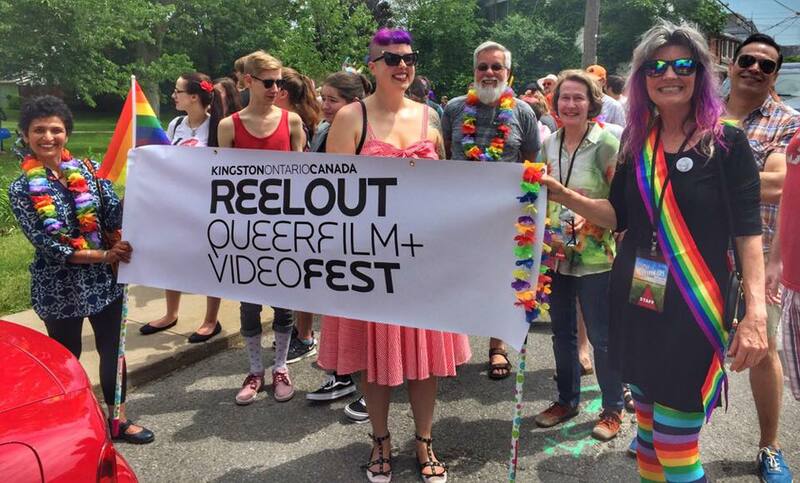 Ideally each title must have at the very least 3 programmers’ opinions by October 1st where you will be required to meet for up to 3 hours to decide which films are exhibited at the 20th annual Reelout Queer Film Festival. 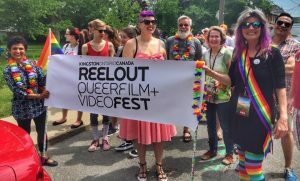 Email your expression of interest with any additional questions you might have to director@reelout.com before Monday, June 4th, 2018. « Special Award in Honour of A Dear Supporter and Friend	» T&A and AGM Coming Your Way!